Mr. Canada is a seasoned trial attorney with significant experience in handling large complex matters. 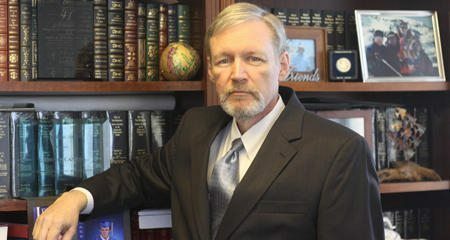 He has tried numerous cases to Judges and Juries in both State and Federal courts in Louisiana and Mississippi. He has also mediated and arbitrated cases in Texas, Alabama, Louisiana and Mississippi. Mr. Canada understands both sides of litigation, as he began his legal career representing injured plaintiffs, handling environmental and toxic tort, maritime and product’s liability claims. After two and a half years, he was hired by his current firm: against whom he had litigated several cases. Mr. Canada is panel counsel for several insurance companies in Louisiana and South Mississippi in the areas of employment law, construction law and professional malpractice defense. He is also general counsel for several local and regional companies to whom he gives legal advice related to all aspects of their businesses. Mr. Canada also serves as an Assistant Bar Examiner for the Louisiana Supreme Court. Mr. Canada is a frequent lecturer in the areas of commercial transactions, insurance, employment, risk management and construction law having presented seminars annually since 1997. He is accredited by the Louisiana State Insurance Commissioner, the American Institute of Architects and the Louisiana Board of Engineers and Land Surveyors to provide continuing education credits to attendees of his seminars.